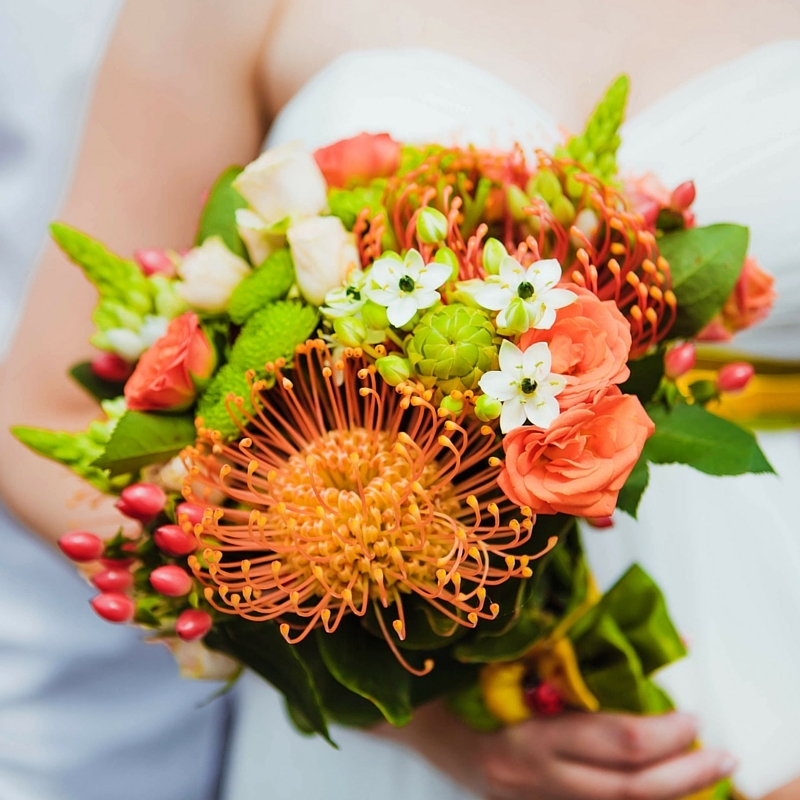 Before you meet with your wedding florist, it’s always a great idea to put together a list of wedding flowers that you’ll need. Knowing exactly what flowers you will need can be a little overwhelming, so to help we’ve put together a Wedding Flower Checklist. This checklist can be used as a guide, you certainly don’t have to have everything that’s on the list. Just print it out, tick the ones that apply to your style of wedding and wedding budget and bring it with you to your Wedding Florist. Buttonholes, do you really need them? The buttonhole (also known as a boutonniere) is a small single flower or cluster of flowers to be worn on the lapel. We get a lot of couples asking us what the importance of these tiny floral displays are, so today we thought we would share with you what we know about the humble buttonhole. Help! Who should wear a buttonhole at the wedding? You may prefer the groom to be the only member of the wedding party wearing a buttonhole, but more often than not buttonholes are also given to the groomsmen, page boy, and the fathers of the bride and groom. This makes up the wedding party on the mens side. If your budget affords it, it’s a nice touch to give them to the grandfathers and brothers too! Our tip: If you decide to give buttonholes to the fathers, grandfathers and brothers it’s always nice to give a corsage to the mothers, grandmothers and sisters as well. That’s completely up to you! You can choose a colour that either contrasts or complements the grooms outfit. Or have them match the Bride’s bouquet and use the same flowers that are featured in her design. If he isn’t into flowers, try something a little different and use foliages, berries or even succulents. Make sure to have the groom stand out by making his buttonhole unique from the rest with with a slightly different flourish to the others. Okay, so how are you actually meant to put one of these on? The buttonhole should be worn on the outside of the buttonhole of the left lapel, not inside it. Make sure the flower is facing upwards. It is usually secured with a pin from the back of the lapel, but some florists offer a magnet that makes it even easier to put on (check with your florist what they normally do for buttonholes). Our tip: Your Buttonhole is traditionally worn on your left lapel, because it's above your heart! Buttonholes are a final touch, adding style to formal attire, and helping to distinguish the wedding party from the rest of the guests at your wedding. Don’t forget some of your family members will have never met before, having buttonholes for the wedding party makes it easier for guests to recognise the important people that are a part of your big day! We work together with you to ensure the buttonholes and corsages are packaged in boxes as you need them. Making it super simple for pick ups as there’s no trying to sort out which needs to go where. We always label our buttonholes, this way the guys know exactly which one belongs to who. WANT THE BEST TIPS TO KEEPING YOUR FLOWERS FOR LONGER! There's nothing sweeter than a beautiful bouquet of fresh cut flowers. The only downside is that we wish they would stick around for longer. 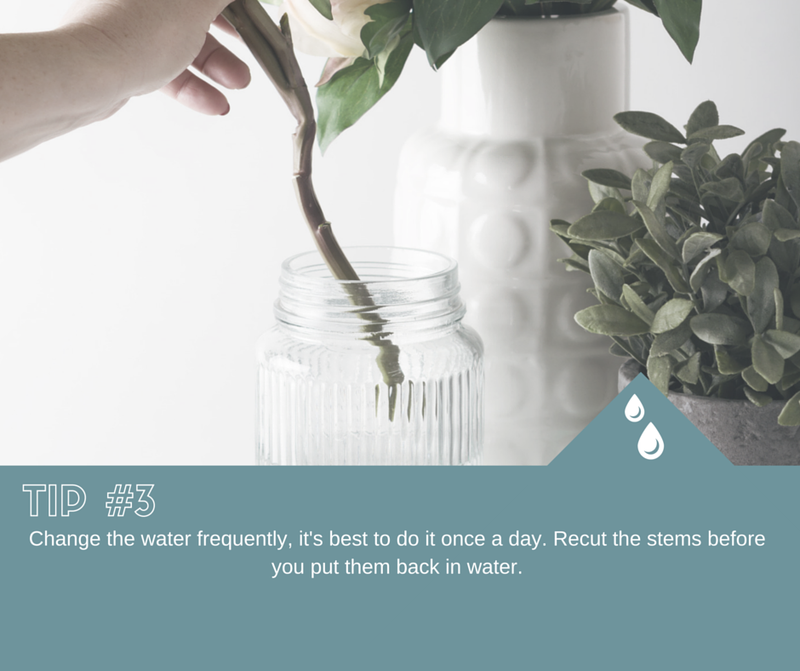 We've all heard of the different “tips and tricks” to help keep our flowers alive, from spraying them with hairspray, to placing an aspirin in the water. But we’re here to bust those myths and give you the low down on keeping your flowers fresher for longer. You don’t even need to be a pro florist to pull these off, just stick to these 6 tried and tested tips and you’ll be enjoying those gorgeous blooms for days!